should you post your fiction on your blog? Should an unknown, unpublished writer post her fiction on her blog in an attempt to build her readership and perhaps get ‘discovered’ by an agent or editor? Because even when your fiction is free, it isn’t free. It demands time and energy with no guarantee of pay-off. There’s also the opportunity cost, the thing the person could have been doing instead of reading your stuff. Remember that attention is the currency of the Internet. No matter how advanced technology gets, there’s only so much attention to go around. The human mind can only focus on one thing at a time. So the price of your fiction is two or five or fifteen minutes in attention-dollars, and that’s a lot to ask from a stranger who doesn’t know you and doesn’t yet trust that you are worth the investment. First you have to close the trust gap. You can start to do that by giving the reader something she already knows she wants. Remember that people tend to have very different reasons for going online than they do when they’re picking up a novel (or downloading it onto their iPad or iPhone or Kindle). They might be bored, or kind of lonely. They might be looking to kill time. They want diversion, connection, entertainment. But generally they’re also looking for information. For an answer to a question, a solution to a problem: some kind of takeaway that will make them feel productive for going online in the first place. Which is why the most popular and best-known blogs tend to be prescriptive (Get Rich Slowly, Problogger, Copyblogger, Zen Habits) even if they lean toward the personal and confessional (Brazen Careerist). Even the more personal bloggers will draw upon their life experience to find some nugget of life wisdom to impart to their readers (Cleavage, Communicatrix) and they’ll do it in a quick and breezy way. People online tend to skim, to scan. Chances are they’re not reading closely. The stuff that does best online is the stuff that is blatantly and obviously useful. This is also the stuff that gets shared. And you want readers to share your stuff, to pass it around their networks: tweet and retweet it, toss it on their Facebook pages, link to it in their blogs and email it to friends. You pull in new readers this way. Some of them will come back to your blog again, and then again, and turn into fans. And this, when it happens, is awesome. Someone might read your fiction, and enjoy it, and even comment on it. But chances are they’re not going to share it. If you pay attention to the blog posts circulating around your network and bubbling up in your Tweet and Facebook streams, you’ll see what I mean. The purpose of your blog is not to sell someone on your fiction. It’s to attract them into your orbit, and then to keep them there — keep them returning to you — long enough to develop a sense of trust and familiarity. People will buy books (and other things) from people that they like. From personalities that they resonate with. It’s possible to write about your novel, or to write about writing your novel, in ways that other readers will find useful and interesting. But this segues into the whole question of Well then Justine, then just what the @(#*$ do I blog about? and that, my friends, is for another day. Do not overpost. I would recommend no more than one a week. People just do not have enough time to read more of your stuff than that, unless you’re Stephen King, and even that is questionable. Be kind to your readers. Use the same formula every time. Provide subscription options. Remind them on your network. Above all, visit other blogs. Often. Always. You will get the support you give. Actually I agree with you, but I think flash fiction is the exception, and you’re also tapping into a readymade community (the hashtag community seeking flash fiction). That’s a post in itself. I was thinking more in terms of novel excerpts. I think there are definitely writers out there who have built up followings (and even made money) by posting their fiction. But you have to be deliberate about how you go about it. I think it’s best to build your blog on other things. I agree with a lot of this. I started blogging on Myspace and would get several thousand hits a day. I wrote about my life; being a Mom and going back to college at 31, being in an interracial marriage, and being an avid gamer, aspiring writer, coach potato. I built a huge following quite by accident. By writing about almost every aspect of my life, people began to feel as if they knew me. They liked me. They wanted to support me. The few times I did post fiction (flash or serialized short stories) it was received very well. By the time I launched my own site two years ago, I had the luxury of already having a base (and tons of content to move over and archive) that I knew enjoyed reading my fiction from time to time. I found they provided useful feedback in terms of learning of what worked and didn’t work. If I had began my blogging experience as a blogger who solely posted their fiction, I don’t know if I’d have been as successful. I think opening myself up as a person first definitely helped. I know the readers that read every piece I post (and they comment, retweet and share them on Facebook), support my writing on other sites, recommend me to their friends, and buy anything I’m lucky enough to have published. Blogging also made me a better writer. It was the daily practice I didn’t always have the dedication or interest to do when writing fiction. I learned how to turn a trip to the market or recycling my daughter’s own piggy bank money as a deposit from the tooth fairy (hey, I was desperate!) into creative nonfiction. I learned to write entertaining blogs instead of public diary entries. Thanks for another interesting blog post! I’m in the process of setting up a website and my personal blog (featuring all my writing adventures: published food writing and unpubbed fiction) and totally confused about what my first blog post should be about…an intro to me, about my writing, about food? Help! I disagree. Most of my blog hits are from people who come to my blog to read my fiction. Flash pieces are fine because they’re written with the web in mind anyway, but longer novel excerpts are a little iffy for all the reasons highlighted in the above comments. I think this is great advice with the exception of the special “events” like Carrie mentioned with #FridayFlash and things like blogfests, where people are purposely posting excerpts along with a larger group. I stick to writing topics on my blog, but sometimes participate in blogfests and that a) got me more followers and b) played a part in me getting my agent. One of my agent’s clients read my blogfest entries over time, saw I could write, so when the agent put a call out for referrals for romance writers, her client referred me. : ) So there definitely are exceptions. However, 99% of the time, posting excerpts will just get people to skip your post for the day. I definitely don’t take the time to read through them. Plus commenting on excerpts can be precarious–do they want a critique? pat on the back? It’s a matter of balance. I often include excerpts of my writing – poems, generally – in my articles to illustrate points. I am lucky in that I have a large back-catalogue – I’ve been writing for over thirty years – but I certainly don’t post everything I write as soon as it’s written simply to get feedback which some of my friends do. On my website (as opposed to my blog) I have novel extracts and examples of stories and poems but that’s all they’re getting, enough to make an informed judgement – I often buy novels without having read an author’s work before but I never buy poetry without knowing what I’m getting into and I treat my readers the way I’d like to be treated. The purpose of my blog is, however, to sell people on my fiction but I prefer not to go for the hard sell ramming my words down people’s throats – never understood why people think that might work – but I do keep people aware of my writing. As I said, it’s a matter of balance. I should maybe clarify that. The purpose of any writer’s blog is ultimately to sell them on their fiction but you’re right — the hard sell won’t work (and is exactly what sends people running in the opposite direction never to return). And you don’t need the hard sell. Your voice is enough. Your content is the bait; your voice is the hook. I think I tend to agree with you, but mostly because I can’t write short stories. Tried for the website I’m building for a platform, but it took too much time away from my regular/normal writing. Guess you can put me in the sour grapes section. Well said. Though, I read every single word you write, slowly and often with great revelation. ^___^ While I do skim most online sites, I never skim premium content. Thanks for the links to other popular blogs. Why not just put the fictional works on a site like write.com or Scribd? Then you can put up a website page link, for folks who want to read the fictional works? I think there is power in posting short, timely (ie consistent) works of fiction online. Especially if its an on-going story. Its the modern equivalent of serialized fiction. After I finished my first manuscript (which is still in painful second draft limbo), I looked building a website/blog to garner an audience. But I didn’t think people really troll the internet looking for fiction to read. They read a lot of informative content, yes, but not fiction. So I decided to stretch another skill of mine and post a weekly comic–hoping that the visual element of it would entice more eyeballs. I am slowly building a regular following through it. Although I am surprised to see what little prose I do post does get enthusiastic responses. 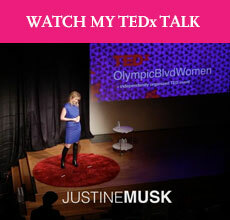 I still agree with Justine, in that most people hunt the internet for useful info–but there is a wide audience interested in entertainment, in one form or another. If you can find a way–any way, really–to hook someone with what you do, they’ll keep coming back. I think adding the visuals is a great idea — I love how Hugh MacLeod does that with his work, for example. Plus humor is powerful. I think a lot of readers have a bias against material that isn’t already neatly packaged in a book they can buy from Amazon. Like it if a publisher hadsn’t stamped it as good enough to print, then it probably isn’t worth reading. I hate this bias, but I’m guilty of it too. I tend to skip over blogs that have fictional content. But I think for me this is less about the quality and more about the experience. When I read fiction, I like the whole experience. I like being able to kick back with my book – or now my Kindle – in hand, get comfy in bed or take it to the bathroom, lol. I don’t want to have my laptop scorching my lap and my eyes burned by the ever-present glow of my computer. I think it’s more appropriate to lure them in with your awesome blogging skills – talking about life or whatever – and then maybe offer them the ability to opt-in to an e-mail list with fiction stories. This could be a free service of it could be a pay service after a trial month maybe. Something like that. To me, I don’t mind giving away my thoughts and opinions for free. But if I take the time to create characters and a world and craft it into something enjoyable and readable then that is something I should reserve the right to be compensated for. I tend to agree. Simply from the perspective of a blog reader, I rarely, if ever, read fiction on a blog. My brain is trained to scan quickly when in Internet mode, and, since I prefer to savor my fiction, I’ve no interest in reading fiction on the Internet. I don’t know anything about blogging. I had never even followed a blog until recently. I kind of fell into it one day and for some reason I’ve stuck with it. I started blogging just for family and a few friends. I figured no one but them would ever see it and that I would soon grow tired of it. Then one day I noticed there was a Stats button. Not that I get a lot of hits, but I was surprised that my audience was also coming from Russia, Slovenia, Beloruss, Morrocco, Egypt, South Africa, France, etc. How did they ever find my blog? I just post things my family might be interested in. Sometimes it’s a poem or a short-short, other days it’s a recipe or a photo. My audience doesn’t bother to make comments on line (some of them don’t know how to). Family and friends just call me or email me. What I get from blogging is an education. I make a point of not letting it take up too much of my time because I work full time and I’m trying to finish a novel. Blogging is a sandbox. I’m interested now in what other bloggers do and why. I’m interested in what readers look for. I play. I learn. And maybe somewhere down the line it will serve me well. Or maybe not. I tend to believe that most people do not have time for lengthy, online fiction unless you have a really loyal following, and even then, it’s not an easy choice for them. It’s not comfortable or practical. They’re in a hurry. But blogging may be a way of eventually gaining their interest. I don’t think it makes that much sense to compare the popularity of fiction blogs to “prescriptive” blogs. First, do you suppose that the comparatively small number of bloggers currently posting their fiction for free affects the popularity of fiction blogs? People don’t actually know that that’s available because there’s a small number of fiction blogs. Second, fiction is less likely to draw huge audiences as compared to posts of personal experience and advice because individual pieces of fiction appeal to smaller audiences by nature. For example, even if Asimov’s entire collection were posted on a blog for free it would still draw a smaller readership than Brazen Careerist or Zen Habits just because fewer people are interested in science fiction. I agree that it may not be the best use of a writer’s time, however. Nobody reads my blog, so I would try to get my work published first rather than post it there for free! David — well, that’s harsh, but you made a good point. I underestimated my readers, and ran a needless risk of turning off people like you in a stupid attempt to be humorous. I changed the line immediately after your post & am glad I did. Lesson learned. Absolutely post fiction on your blog. There are way, way too many boring blogs out there by “Experts” who write dull empty articles about social media, advertising, project management and cite other dull boring articles by experts trying to get people to notice them also, to boot! I post fiction and have others do it too. I do worry if it takes a little work to create the posts and would not put a book there I was trying to sell, in any case. I just started a writing contest on a eBook group on Linkedin to ask people to write & post short December/holiday/? 1000 word stories on their own blogs and circulate links. No prize, no money, no judging. Copyright plus commons use with attribution if people use link or aggregate links. I love your blog and this is a thought-provoking post. I agree with your point about not overdoing it, but I definitely think there is value to posting fiction on your blog IF you know what your goals are. There are plenty of twitter memes to join up with including #fridayflash and #tuesdayserial (full disclosure – i am a co-facilitator for #tuesdayserial). We have had this conversation numerous times amongst ourselves and an important point is if you post something on your blog with the intention of eventually publishing it, consider that SOME publishers will consider your work to be previously published if it’s on your blog. If you are self-publishing, of course, this is not an issue. It’s also wise to give some thought to where you are in your learning process before posting fiction. For new writers, posting fiction on your blog can provide an opportunity to get some feedback from others. For more experienced writers, posting fiction on your blog can be an opportunity to gain readers but i agree with the points made above that some alternate avenues for reading should be provided like perhaps scribd or a newsletter or being able to download your fiction in an ebook format. It’s too bad that there is a charge for a kindle subscription to blogs, because that would be a convenient option for many. I’m still feeling my way through these options, but posting fiction on my blog has been a tremendous way to both gain readers and feedback. Calibre can turn rss feeds into e-reader friendly formats. Epub, mobi, etc. It’s freeee. http://anthologize.org/ is a wordpress plug in where you can turn on-line content into electronic content. Releasing your novel as a seriel on your blog doesn’t negate your ability to monetize it. After it’s done you can release it as a pay-for file as a whole. You can release certain parts if you receive X amount of money. The possiblities end with your ideas. You are probably right, but a writer has to write what he or she writes. Time is too precious to waste on things you do not find creativly satisfying. I would like to draw attention to my stories and other writings, but I have reached the point where I write simply because that is what I do. Enjoy what you do and let the chips fall where they may. Being a newly self published writer, my 2012 Resolution was to embrace social media. Two days in I was on the cusp of giving up, despairing of ever getting a handle on ‘the right approach’. So glad I didn’t. A combination of your articles, Justine, and the valuable comments has reassured me there is no one approach that I have to get right from the start or remain forever in blog oblivion. I can take my time to experiment and experience. Thanks for your guidance and great links. I suppose it depends on how you and why you post fiction on your blog. Some blogs beg for you to read their fiction, and that is never good. If you’re posting fiction for an agent to find…yeah, that might be a bit unrealistic. I have a nonfiction blog and a fiction blog. The nonfiction one is more popular, but the fiction one has readers too. But the fiction posted in an ongoing story and the posts are short. Very short. No scrolling required. And I try to end a post on a note that calls a reader back. Sometimes works. Sometimes doesn’t. But it does get me to write more often and in a particular way. I like that. Writing online is weirdly freeing in way that writing on a regular page isn’t. So it helps me. But I don’t expect riches and fame. I write what I want. I started a serial fiction blog 6 months ago, illustrating the story with 1:12 scale models of the scenes. I begin posting small amounts every day, and then switched to a longer chapter once a week. It’s slowly growing, and I know get about 500 regular readers a week who seem firmly attached to my characters. I’ve added Google’s Ad Sense to my blog, and I’ve made about $100 in three months. Am I getting rich? No. Is it a rush to have readers in 27 countries? Yes. I love writing and the blog has given me an instant audience I wanted have any other way. With a full time job as a JR. High teacher, there’s not a lot of extra time for writing workshops, conventions etc. I’m sure I make a multitude of amateur author mistakes, but I must be doing well enough because people keep coming back every week. Wow! High praise! Thanks so much for taking a peek. Appreciate it. Hi! You all bring up some very good points. I have to say, though, that I am having a great time blogging a book straight onto my blog. It has unleashed a lot of creativity in myself, and I like the challenge that it brings. I have been writing since I was in the 5th grade and only recently thought about getting published. I’ve started a page on Facebook where I post short stories and try to gain some constructive feedback. Please, check it out. If you have facebook, please “like” the page. I love to receive constructive criticism, it helps a lot. However, I am also having trouble since I’ve begun this page. Another page has begun to use my work as their basis for “spiritual science”. I want to get published as much as I need to! I don’t want someone stealing my work and getting credit for it! Please help. Please “like”! I just finished writing my first novel and have a few people reading it. I want to publish it in the fall of 2014 and your article reaffirmed everything that I was thinking about blog content. I think you are absolutely right. Thank you for sharing. I think it’s all about competence. Write the way you’re good at. If you’re a fiction blogger you might have to find wonderful articles like this to comment on. Has anyone tried attaching a PDF file of your fiction to a blog post written about it? That way readers can transfer the file to their tablet or smartphone and read it later. It is good to trust the writer, but what if the blogger posting fictional blogs has no intention of putting their work into a book. Rather post it as a free reading material that doesn’t cost their readers money. This is what I have been working on and agonizing over. I’m not expecting overnight, but how do you gain a readers trust without actually publishing my work and selling it in a high priced book store? I want my writing to be freely shared with anyone who is interested in a fictional blog. Something to take them from their troubles, a small escape if you will. I don’t expect everyone to like my writing or anyone else’s. That isn’t how the world works, we are all different with different feelings and ideas. Help…please. I’m considering this very thing. I have an idea for a novel, I’ve written 3 chapters so far. I’ve been considering serialising it on my blog. My blog is brand new and I have no readers. Regurgitating ‘hot to’ articles doesn’t really appeal to me, nor does writing about my daily life. Which is hardly exciting. But the big issue is how to get readers in the first place. Hmmmm! My ultimate dream is to write a book. But, when push comes to shove… I always seem to put it off, or find an excuse to not dedicate quality time to actually writing it. So, I decided to ‘break it down’ instead. But I really enjoy writing it. I also feel compelled to write everyday because it’s in real time, and therefore I don’t have time to procrastinate. I guess watching the clock really helps in my situation. I plan to use my story blog to eventually create an actual novel in the future, which will enable me to break down the 3rd wall, so I can become much more descriptive, and portray the thoughts of other characters, aside from the protagonist. Anyway, I really enjoyed your article :) I’m trying hard to not let the lack of readers get the better of me. I have to remember to put my dreams first, and if readers follow, well, that’s just a bonus.